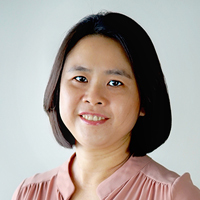 Pua Jing Yi （潘敬懿） is a practicing lawyer since 2007. She was graduated in law from National University of Malaysia and then read in chamber at M/s Chung, Hasnal & Partners before she joined CA. She gained her initial experience in Banking and General Litigation. During her course of study, Jing Yi was an avid mooter in Moot Competitions. She once served as one of the volunteer for Kuala Lumpur Legal Aid Centre, with the hope that her knowledge in law can serve the society and community. Pua Jing Yi has co-author a book 《婚姻心法》 in 2019, proudly produced and published by the Firm. And 2 sharing sessions was conducted on this topic to create the public awareness. She is proficient in Chinese, English and Malay. And she is able to speak Mandarin and Cantonese as well. The multilingual enables her to understand the clients better and helps them to solve the issue. CA believe in human capital and the importance of a team. Being the leader of Litigation Team, she is leading the lawyers Sean Lee and Brandon Lim, and supported by the legal support Sheila to solve our clients’ issues. Besides that, as the Partner of Service, she is also leading the Operation Team which including Irene, Arif, and Zulhilmi from Accounts department, Azmir, Kaya, Judy and Zahir from front line and Pancy from Business Development. Jing Yi is practicing these CAlture along her years of service in CA, which is Approachable, Flexible, Understanding and Respect. Jing Yi maintains the level of service provided by the entire Firm to ensure a standard befitting of the Chur Associates’ brand. The Firm strongly upholds commitment to first class service delivery and Jing Yi is responsible for ensuring this philosophy is upheld and maintained in everyday workings within the Firm. As such, she is also responsible for attending to any point of concern raised by our clients. Chur Associates very own 6Nature is within her purview.